GCBC is about: Lives being changed by Christ! We are a welcoming, family centered church that is founded on prayer and the Bible, is others oriented in its activities, and is committed to helping people’s live be changed by the transforming power of the gospel and equipping people for life and service. GCBC is a small, multi-cultural group of people on a journey towards/with Jesus. We don’t claim to have it all figured out and recognize that each of us is in a different spot on that journey. From those just exploring Jesus, to those starting to figure out how to walk with Him, to those fully engaged in their walk with Jesus-everyone is welcome! We have a saying at GCBC: There are no perfect people, so come as you are! 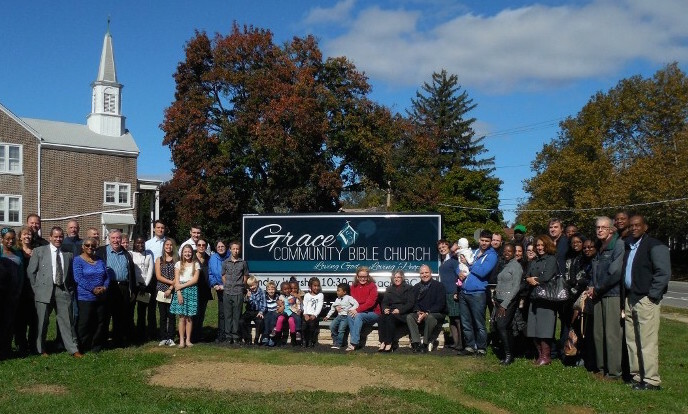 GCBC is a Bible teaching church. Our motto is: The Bible, the whole Bible, and nothing but the Bible. We are committed to Biblical truth. We believe the Bible to be the inerrant Word of God and therefore is the basis for all of our life and beliefs. I personally am inviting you to join us for worship every Sunday at 10:30 A.M. There is childcare provided during the service: Nursery and Children’s Church. GCBC is located in Northeast Philadelphia at the corner of Oxford Ave. and Knorr St. in Lawndale. If you have any questions or needs that we can help you with, please feel free to contact us. You can learn more about GCBC by clicking on the About Us tab. I look forward to meeting with you or seeing you Sunday.